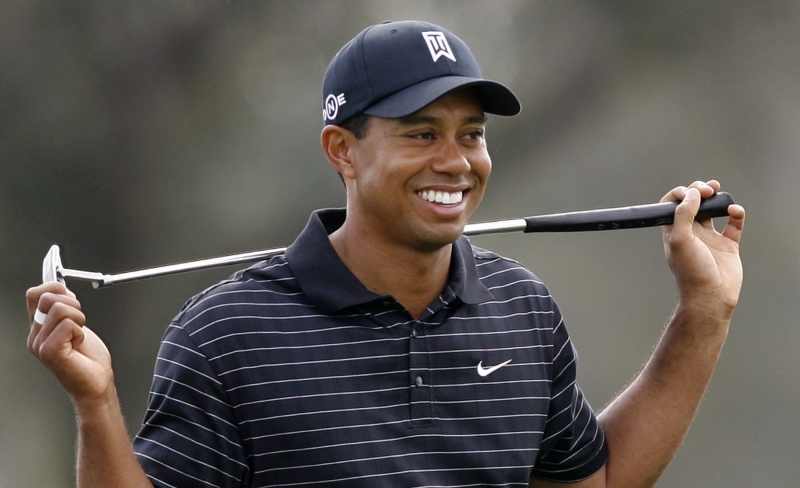 Champion golfer Tiger Woods was hospitalized after crashing his car near his home early Friday, according to reports. Woods (33) was leaving his house in Orlando around 2:25 a.m. when he ran his 2009 Escalade into a fire hydrant and then into a tree on a neighbor's property. The airbags on his car didn't deploy, according to a Florida Highway Patrol report, an indication that he was traveling at under 55 km/h. His wife Elin Nordegren heard the crash and rushed outside to find him unconscious in the car so she smashed out the back window of his 2009 Cadillac SUV to get him out. He was taken to a nearby hospital. According to Orlando Sentinel, hospital officials said he was no longer a patient by 2 p.m. Woods spokesman Glenn Greenspan said the golfer was treated and released in good condition. The patrol said alcohol was not involved, but the incident is being investigated by authorities. Patrol spokeswoman Kim Montes said Woods was alone in the car. The FHP said that charges are pending. good news. he is a cheater! Thank god he alright now!